Shreya* lives in a rural village in India and had become a Christian, but in some ways she was still living as she always had, the way her mother and grandmother had taught her. One of these practices was accepting the government’s pesticides and fertilizers for her and her husband’s fields. India’s government subsidizes agrochemicals for farmers but has few quality checks on the products they hand out. A number of these chemical cocktails contain high percentages of endocrine disrupters that can cause immune suppression, infertility and cancer. Then one of World Challenge’s partners came to Shreya’s village to offer lessons about how God transforms lives and communities. The team told Shreya and others about how the chemical fertilizers and pesticides used by their village could cause health problems. They also explained how to fertilize organically along with the benefits of kitchen gardening where people in the village could produce cheap, fresh vegetables for their households. The idea stuck with Shreya. If God had designed human bodies to absorb nutrients from plants, then their bodies were absorbing the chemicals the village farmers were using. 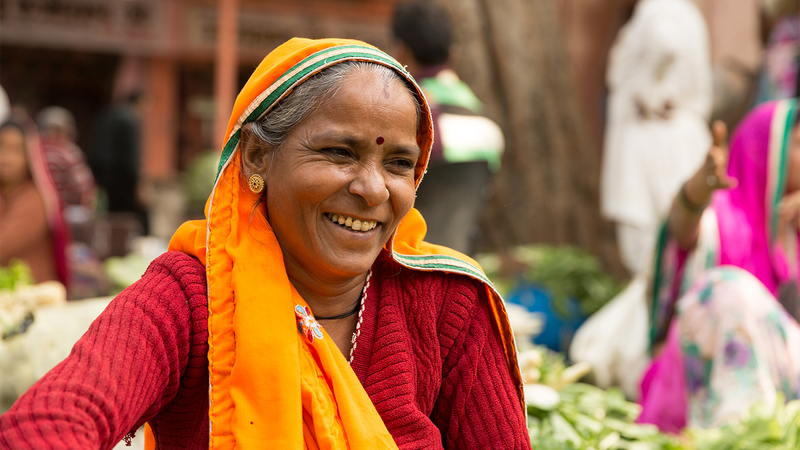 She went home determined to make her very own kitchen garden to improve her family’s health. With the help of her daughter, she took empty cement bags, filled them with soil and began planting. Soon Shreya’s kitchen garden was producing a great yield. It not only gave the family fresher vegetables but also enabled them to considerably cut down on the money spent buying produce from the local market. The garden was proving so cost effective and easy to maintain that Shreya decided she couldn’t keep this blessing to herself. “I am encouraging everyone to take advantage of the incredible benefits it has to offer,” she explained. When people in the community began learning more, they took initiative to repair the drainage system around the village where fertilizers and pesticides might be infiltrating the water system. While this was happening, the village chief decided he wanted to contribute. He and a team built a brick road to replace the dirt one that had led out of the village into the fields, making it much easier for farmers to travel back and forth, especially during the rainy season. The change that began in Shreya and other’s hearts is beginning to change the face of their village and lives. While great changes are happening in Shreya’s village, they still need prayers. Many believers in India face persecution and harassment from Hindu and Muslim extremists or government officials. Pray that Shreya and her family will be protected as they spread the news of how God has changed their life. Pray for more people to become open to the God behind the changes in their village. Pray for God’s hand to be over our partners in India who are diligently reaching as many people as they can with God’s healing and care. *Not real name. For our ministry partners’ security, we don’t release names or locations in highly sensitive areas.